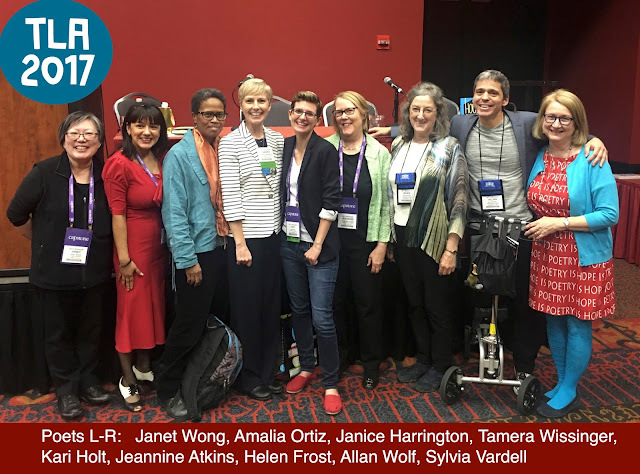 I have already shared basic info about the recent TLA conference, but I thought I'd add a few more nuggets. It's always fun to go to the annual conference of the Texas Library Association-- such a great event that's well organized, well attended, and full of opportunities to talk about books, reading, and POETRY! 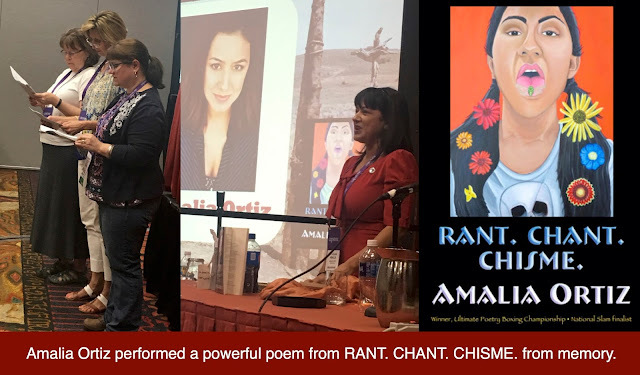 I'm so pleased and proud that the Poetry Round Up continues to make the program and this year was lucky #13! :-) And it's always fun to travel to San Antonio! 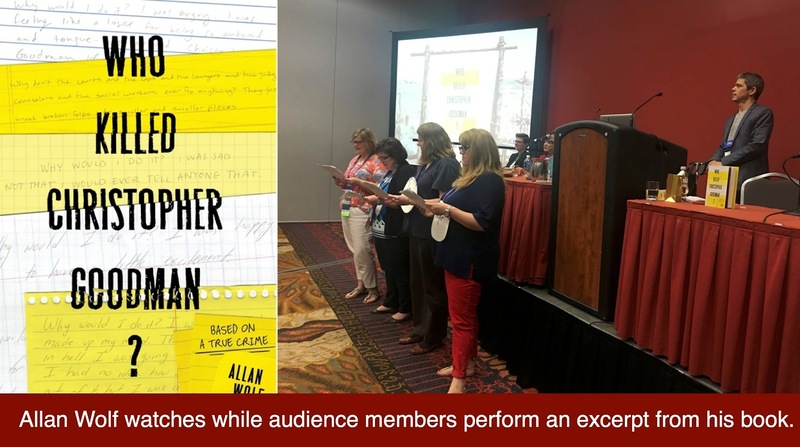 The conference leadership was pushing to make this conference more interactive, so I prepared readers' theater scripts of each poet's work. 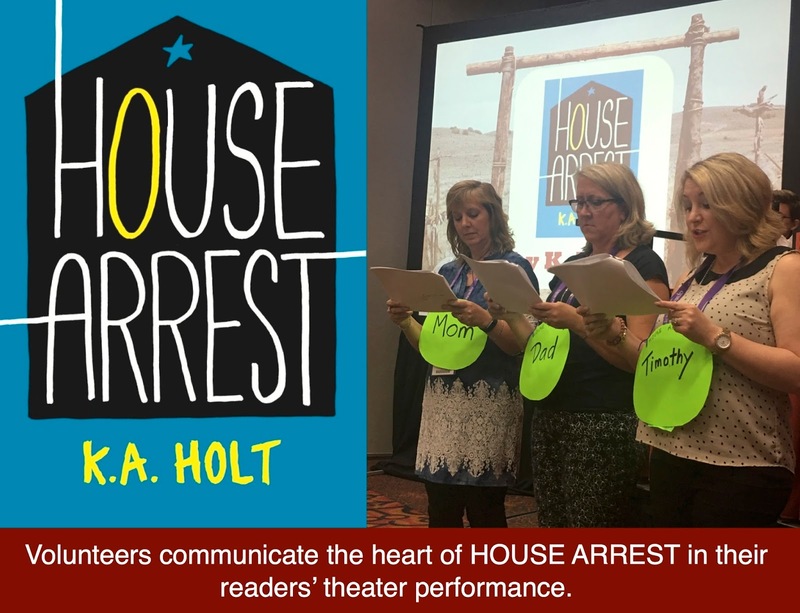 I took an excerpt from each of their books and broke it into reading parts for various characters, highlighted the scripts for volunteers, and made goofy character signs for each volunteer to wear so the audience would find it easy to follow. Then I crossed my fingers that I could solicit volunteers from the audience and that the poets would be pleased at how that worked (since it meant they would have WAY less time to read). YAY! It all worked! Lots of people volunteered (including lots of my former students) and the poets really loved hearing their work read aloud by others. 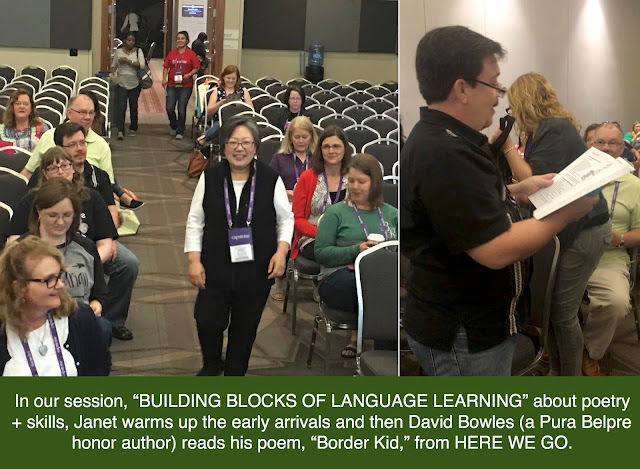 Then Janet (Wong) and I were lucky enough to have a proposal accepted to feature poetry and curriculum skills called "Building Blocks of Language Learning." We focused on guiding librarians on helping teachers choose and share poetry in fun ways while still highlighting basic language skills. It was a BIG hit and I shared many of the slides last week. 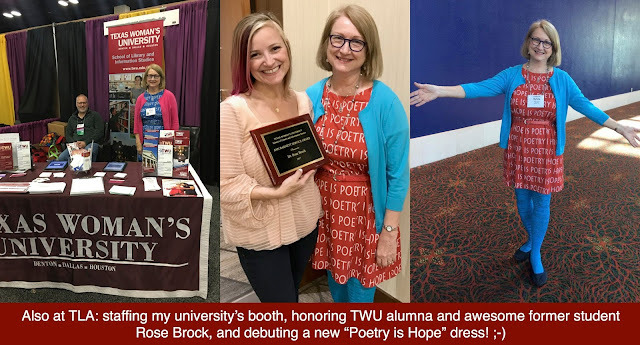 Finally, I also represented my university in several ways-- working the TWU booth and supporting a former student who won a service award-- the lovely Rose Brock. Here are a few more glimpses of those busy 3 days. Enjoy! 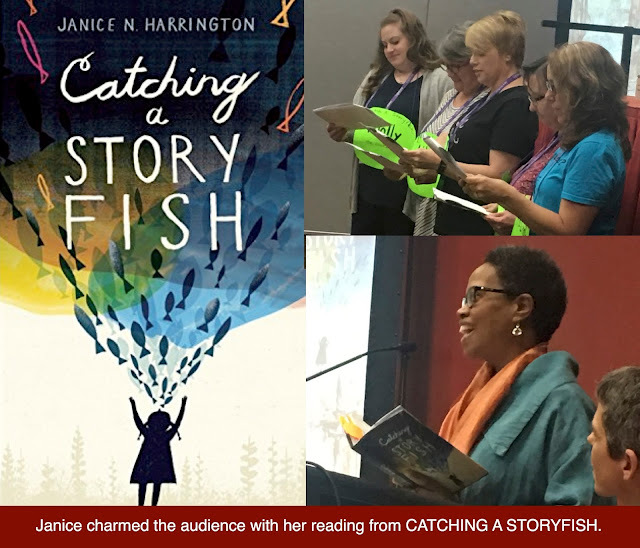 And think about coming to TLA next year. 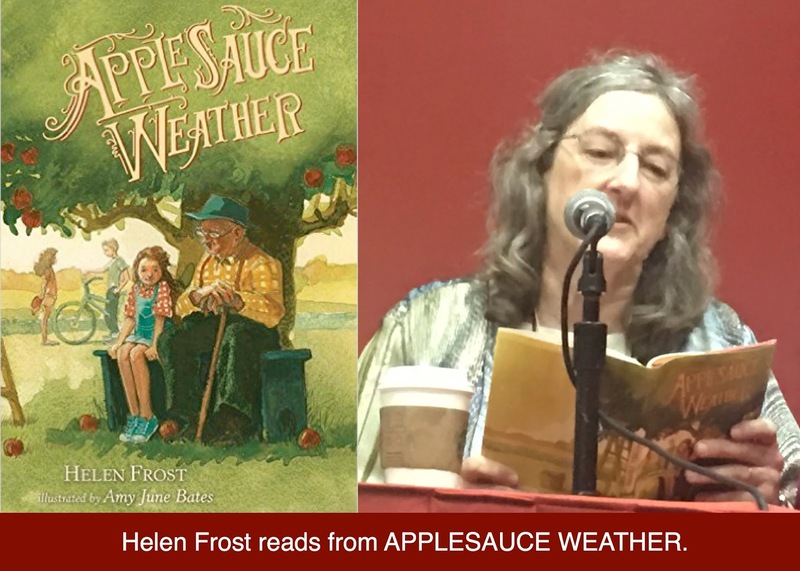 It will be in Dallas-- just 15 minutes from my house! What a wonderful recap! You captured the joy of the Poetry Round Up, and it was fun to glimpse you elsewhere, too! 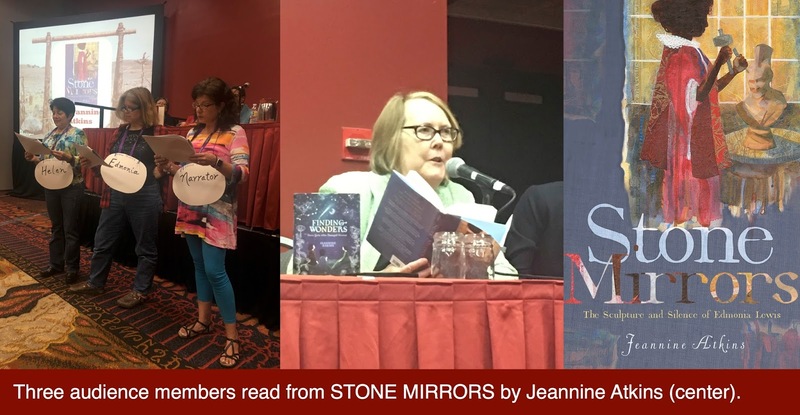 Thanks, Jeannine. 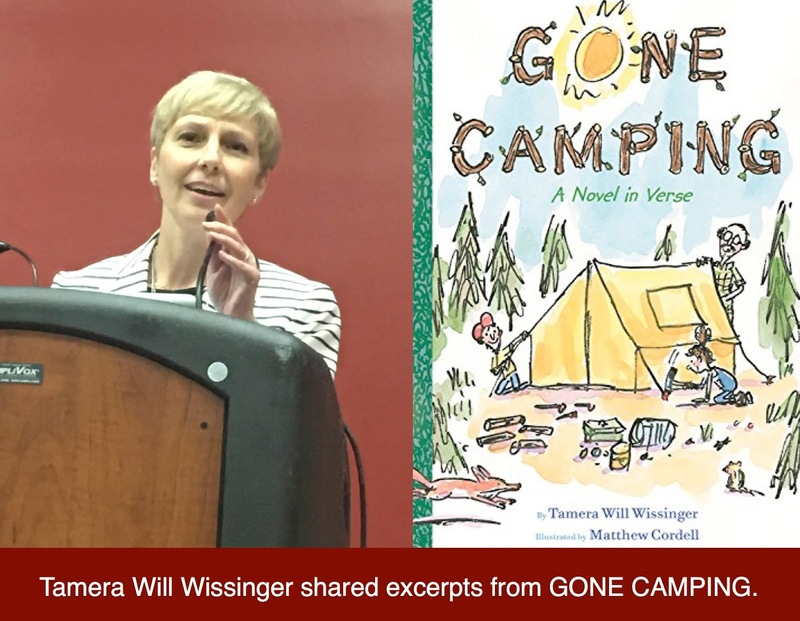 It was so wonderful to see you again and introduce our TLA Texas audience to you and your work. My only regret is not having more TIME-- for the Round Up and to talk to you! Next time! Thanks for letting us know how it all went. What fun!